Betting has become that thing in Kenya and it’s led me to a question based on my experience listening actively to Kikuyu programming: is sports betting of a kind with Lotto? As I mentioned in a previous post, the format of morning shows is based on a character or two going back and forth on various topics during the course of the show. Early in the exercise, I used to live-tweet every single word. Then I cottoned on to the fact that most of the talk was selling something. Significantly, it was selling various Lotto platforms. The draw of Lotto is how easy it is to loop it into any conversation. The only thing that has rivaled Lotto is voter registration period but that was a small window of time; Lotto is a daily event. A classic way in which Lotto is included is that it’s paired with land sale (I’ll dig into the place of land in a future entry) and suggested as a way to make the money one needs to purchase land. Lotto seems to be one of the way in which radio stations make money. Stations ask their listeners to send the station name to Lotto numbers as they pay for their entries. I imagine it’s also a way to track listenership in the same way your favourite podcast gives you a discount code. It would be intriguing to see the numbers and know: a) how influential radio presenters are and b) what sort of numbers are being generated by Lotto companies off of these promotions. Lotto is presented as a viable investment option for people from all classes. The fact that entries are only KES 50 is always highlighted: it’s affordable and you stand a chance to make huge returns on your investment. It makes sense, then, that there I am yet to hear critical commentary on betting yet: one does not bite the hand that feeds them. There is an interesting exception to the Lotto gravy train: Radio Africa’s Gukena FM. Over the last 2 or so months, it has been pushing an insert in The Star that provides odds for sports bettors. To highlight Lotto at the expense of the group’s business would not be wise. They are still operating in the same context: a game of chances makes sense for them. As you can imagine, I’m curious to know how listeners feel about the Lotto messages. These messages are not limited to the conversational parts of programming (what I have taken to calling ‘ad banter’) as there are also adverts and it can sometimes feel like a deluge of Lotto messages. Are listeners responding? Does Lotto & sports betting figure largely in people’s daily lives? Does interest spike when there are special draws (most recently the Madaraka Day draw)? Wandia Njoya has written about betting and what it says about a society. It would be interesting to apply that lens to the relentless messaging that accompanies Lotto on Kikuyu stations especially in relation to the Kikuyu identity. It would also be of interest who owns Lotto companies, how they relate to stations, and exactly what is in it for radio stations. Lots of questions, as always. If you know of people who are doing something similar to Radio Kikuyu, please let me know – it would be great to know how betting is dealt with on other stations. I started Radio Kikuyu during the voter registration period and this loomed large over a lot of the programming till the exercise came to an end. As you may recall, it was extended because of a court order so that meant the rhetoric around it went on a bit longer than I had anticipated. For those of us who are not Kenyans: the current President, Uhuru Kenyatta, is from the Kikuyu community and is regarded as the Muthamaki (loosely translated as king – a position that did not traditionally exist among the Kikuyu) by fellow Kikuyus. The Kikuyu are the largest tribe, occupy Central Kenya, and have a significant diaspora outside the region (more about that in later entries). 2017 is an election year in Kenya and the last voter registration period before the general signalled the last lap. In a country that usually feels like it’s in perpetual campaign mode, the temperatures were high and this was made manifest on Kikuyu radio. Every segment I listened to (5 hours per day in the early days) had something to say about the ongoing voter registration process. The morning shows were the site of a lot of these messaging round the process. A note on the format of morning shows: they usually feature one or two charismatic figures who hold forth on the topic of the day. They’ll have spirited conversations as the show progresses and sell a few things – various commercial products, land, education, and betting services – while they’re at it. During this period, they pushed voter registration in a host of ways. The major one? That Kikuyus need to marshall their large numbers to make sure their man stays in power. There was a strong ‘Us vs Them’ theme underpinning the registration period and it came out in a host of ways. Having Raila Odinga – a member of a tribe that Kikuyus dislike for a host of reasons –as the most prominent member of the group opposing the President offered a great boogieman with whom to scare unregistered members of the public to register. The registration drive was characterised by campaigns to encourage voter registration that mimicked the campaign trail. President Kenyatta spent a significant amount of time on the road. His fatigue, amid ardent pleas on the trail, was used to emphasise how important it was that listeners register. It saw Kikuyu members of cabinet go out to their counties of origin and ostensibly campaign for residents to register to vote. The oddness – and problematic nature of this – became apparent when the Health PS at the time, Nicholas Muraguri, passed up negotiations with doctors who were then on strike to drive up numbers in his native Nyeri County. Kikuyu radio during this period featured a continuous stream of messages to potential voters to register. The message would be integrated in all manner of programming – couching it in religious language was a highlight for me as all manner of Scripture was utilised to emphasise just how vital it was that listeners register. Young people were also a huge target of mobilisation messaging with a lot of it aimed at older people; who were expected to encourage them to register to vote. The basic premise was this: the president’s victory must be decisive this time round. The only way to ensure this is to ensure every potential Kikuyu voter is registered and votes for him. The refrain I heard a lot was that the election would be decided at the end of the registration period. This ties in with the notion of a tyranny of numbers determining how the election goes. This message was so ingrained that when the period was extended, it led to great displeasure. Ironic, until you consider it was delaying what some considered a done deal. There would be messages about voter registration numbers every day and interviews with Independent Elections and Boundaries Commission (IEBC) officials at the county level to keep track of numbers. The stakes were high and by the time the period was wrapped up, the President had traversed the country. Each station styled itself as the most accurate purveyor of voter registration news and sometimes that meant the most accurate reporter of the President’s activities. This, coupled with the consistent messages to register to vote, meant that listeners were inundated with the message. I am curious to know if it resulted in more people registering to vote and if there was a similar effort among other vernacular stations and what form it took. These are a few of my observations on the content on Kikuyu radio stations during this period. I’d love to hear from other listeners how they experienced it and what stood out for them. If you know of people who are doing something similar to Radio Kikuyu, please let me know – it would be great to know what the picture is like on other stations. Since January 24th, I have been listening to, translating, transcribing (on Twitter, as live tweets) and recording several hours of radio in Kikuyu every week. 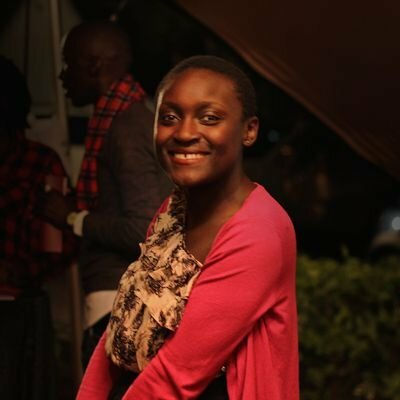 It began on a lark – my mother had asked me to play Kameme FM (101.1 FM in Nairobi and its environs) and I thought to live-tweet what I was listening to. I started doing it and thought to myself: this can be my service to Kenya this year. I resolved to do it till the end of the year and see where it would go. I decided to listen to 4 radio stations before the week was out: Kameme, Coro (99.5 FM in Nairobi and its environs), Inooro (98.9 FM in Nairobi and its environs), and Gukena (92.8 FM in Nairobi and its environs). Originally, I listened for 5 hours a day: 6-8am, 1-2pm, and 7-9pm. Over time, this proved to be too much for this one-person operation so I took it down to a maximum 3 hours a day (7-8am, 1-2pm, 7-8pm) if/ when I can. In February, a friend recommended I divorce my personal Twitter account from the threads I was creating as I live-tweeted. That led to @RadioKikuyu being started on February 16th and exclusively live-tweeting a cross-section of Kikuyu radio. Before then, I had set up a Soundcloud account to make the audio I was recording every time I live-tweeted publicly available. I maxed out on the available time but $135/ year will help make it open. I have learnt a lot during the last 3 – almost 4 – months and this introduction is to provide some context as I go into various themes in the weeks ahead. I intend to do a post a week and I hope that – in thinking in the open – I will learn alongside those who have thoughts and insights on the project. Let’s see where this experience leads, and come along for the ride! Earlier this year, the Kenya Institute of Curriculum Development asked Kenyans to give them their views on curriculum reform. #CurriculumReformsKE developed round the views of #KOT; providing a confluence of views. People were engaged, opinionated, driven to contribute to the conversation, to share their experiences and recommendations. Everyone is impacted in some ways by education and the trending topic it became on two occasions showed just how much they care. It was a big lesson for us; there is a need to build a community round education information. A place where people can learn and talk about education policy, practice, and proposals. It led to the idea that is Drawing Board Africa. A chance for us to tell data-driven stories about education in Kenya that are accessible and help to inform conversations and shape discourse. The people behind Drawing Board, Melissa Mbugua, Nyambura Mutanyi & Laila Le Guen, are passionate about education and have varied skills among them tech, teaching, research, communication and social impact management. We bring this to our storytelling and we anticipate it’ll enrich the stories we shall tell using text, data visualisation, and audio clips. We intend to set off in the new year and create a resource that will hopefully lead to more nuanced conversations about education, an audience that is engaged in education policy, and pithy pieces that are cool and shareable. An #InnovateAfrica grant would make a world of difference for us. It would enable us to tell stories like one we’ve mulled over for a while — What arc has special needs education had in Kenya? How is it funded? What opportunities exist? — and the many more that need to be told. What stories would you like told about education in Kenya? 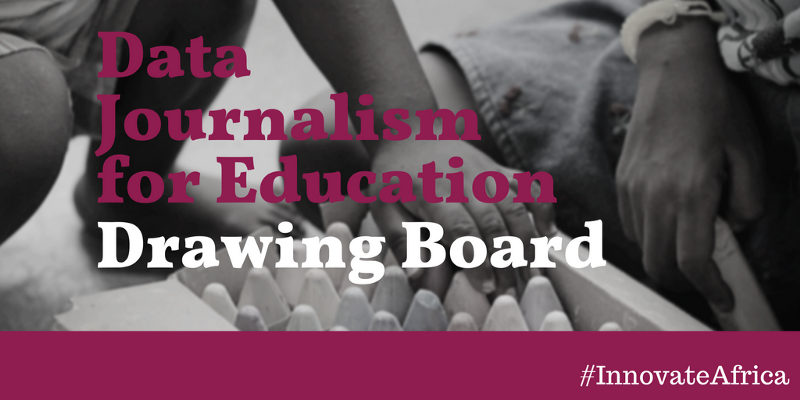 Tell us on Twitter, Facebook, Instagram and use #DrawingBoardAfrica. We look forward to bringing them to life! Today’s meet up was fantastic. A curious group, a hot topic, learning all round. Check out the hashtag on Twitter and take part in the conversation. Happens tomorrow. It would have happened on the last Thursday of February but couldn’t for a host of reasons. I’m excited about it because we’ll be discussing something I am curious and, in a way, passionate about. I have been thinking lately about framing education as what I see it as: a phenomenon at the confluence of numerous policies (land, tax, energy &c). In this case, this falls at the intersection of food policy and the provision of education facilities. Around the world, states feed a number of children over lunch – and sometimes breakfast – and I’m keen to learn more about how this works in Kenya. Just yesterday, my favourite Portuguese speaker sent me this link about the African Day of the School Meal and Nestle’s involvement in Angola. It was a strange, yet sensible, discovery for me. I’ve always thought of school feeding as the province of national government and players such as WFP. This article is just one of the many points of conversation tomorrow; I hope you can attend it. Get your ticket here if you haven’t yet and see you then. I just came from a wonderful session on the place of gender in the ongoing curriculum reforms. I feel heady because of all the possibilities available to us. is close to my heart. It’s telling the the two times I’ve been out after 7pm this week, I’ve been at an education-related forum (Spire Education’s monthly EdTech forum yesterday & the Heinrich Boll Foundation’s event today). I feel certain things about education (and I’ve shared my vision on this very blog) and today it hit me that I need to give some thought to the question of gender in the delivery of education. This is something to share with the rest of the Ed10 Community, of course, but also one to meditate upon. Another thing that happened today: I spoke clearly before people about my work & the community Ed10 has built up in the year it has been in existence. I think one Priyanka DeSouza would be proud; I have her and the wonderful people at Ed10 who have motivated me to get past my anxieties to thank.